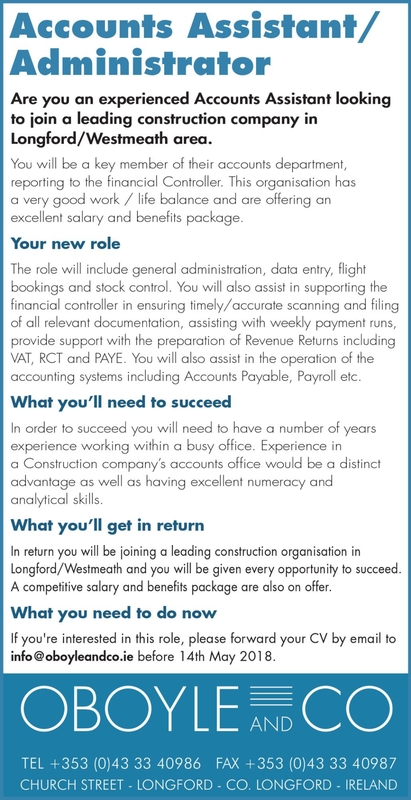 A leading construction company in the Longford/Westmeath area is seeking to appoint an experienced Accounts Assistant / Administrator. The role comes with very good work life balance, an excellent salary and benefits package. For more information on the position, and details of how to apply, see below.